VietNamNet Bridge – A 72-year-old man died while six members of his family were rescued from a fire at their home in Hanoi’s Phu Xuyen Town on Sunday afternoon. The fire was first detected at 6pm and was brought under control about three hours later, but the elderly man had already succumbed to smoke inhalation. 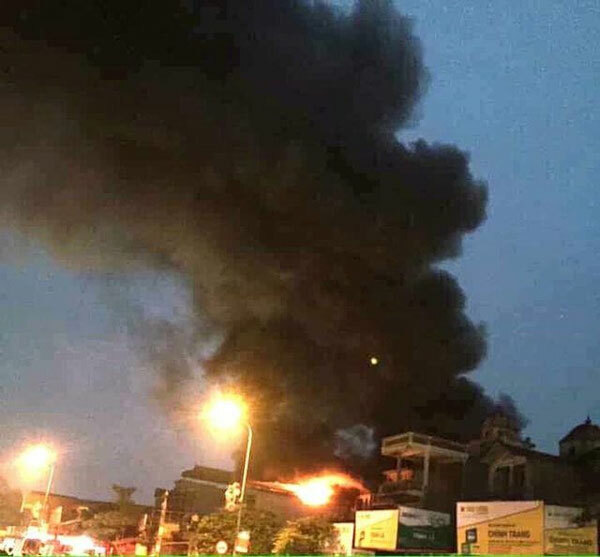 On the evening of the same day, hundreds of people living near a petrol station in HCM City’s Hoc Mon District were evacuated after fire broke out. The warehouse belonging to Minh Chuong Company is located in a residential area on Bui Van Thu Street, Ba Diem Commune. Dozens of fire engines were sent to deal with the fire and it took firefighters about four hours to control the blaze. Authorities are investigating the fire cause of the incident.